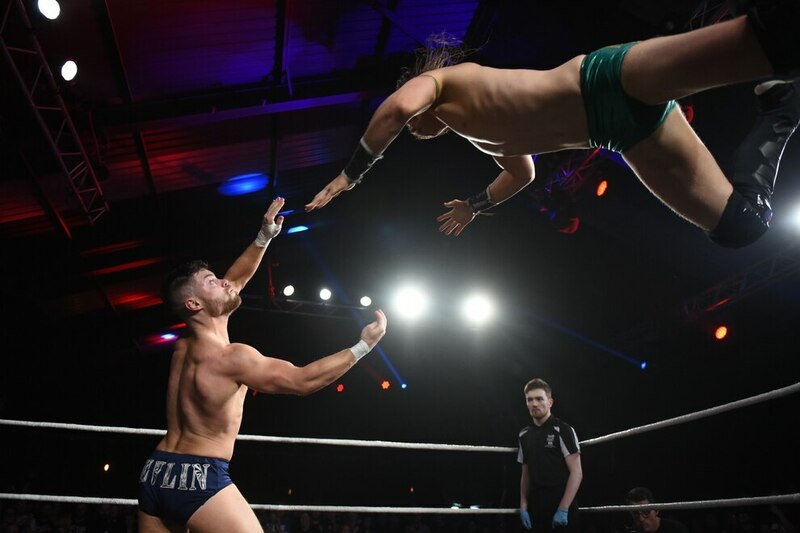 ITV may be bringing back World of Sport Wrestling, but Wolverhampton’s own Fight Club: PRO once again showed that British Pro-Wrestling has come a long way from the days of Big Daddy and Giant Haystacks. With competitors from seven countries, spanning three continents, a packed Starworks Warehouse once again played host to some of the best pro-wrestlers in the world on Friday. 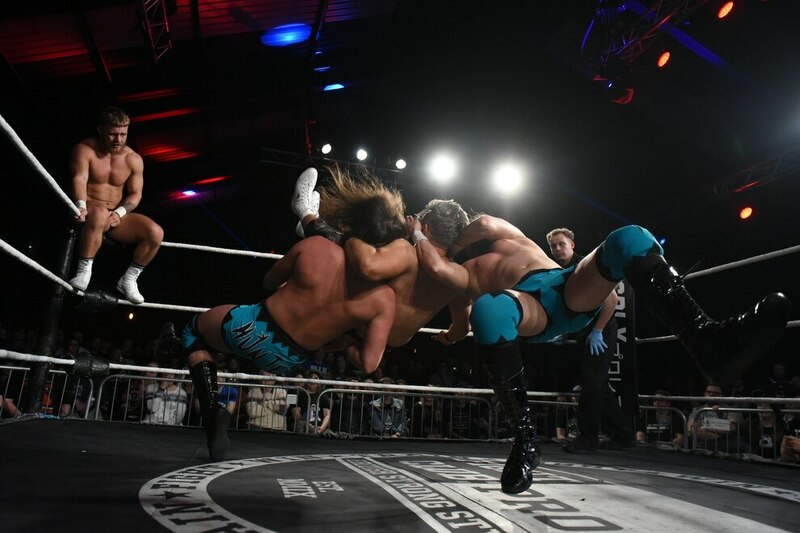 Among them was Birmingham’s own Pete Dunne, with the WWE UK Champion causing havoc whilst gatecrashing a six-person match. In wild scenes that played off recent WWE television, he would throw shoes at his fellow competitors, leaving the referee and some of the fans, walking around in their socks. As the MC noted, “Does everyone have their shoes? There’s something I thought I’d never have to say”. 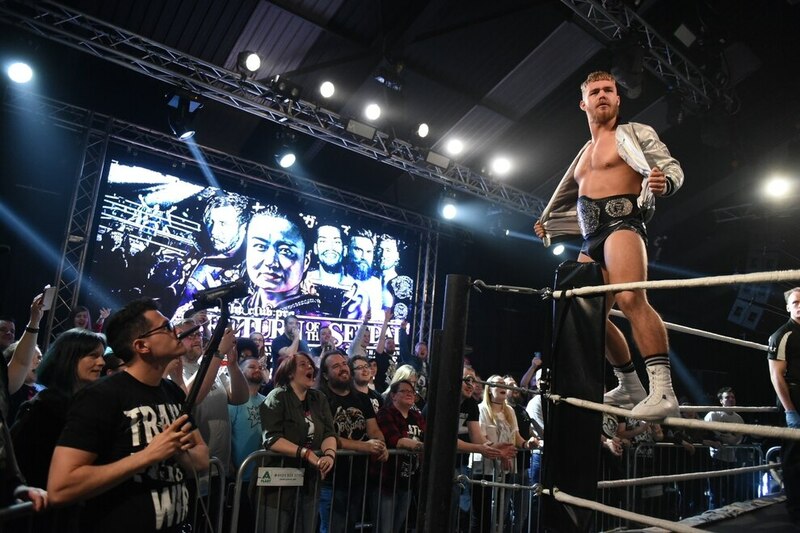 His predecessor as WWE UK Champion, Dudley’s Tyler Bate, was also in action, successfully defending the Fight Club: Pro Tag Team Titles that he holds with fellow WWE UK superstar Trent Seven. In a hard fought, but good natured contestant, they overcame the veteran Hunter Brothers. 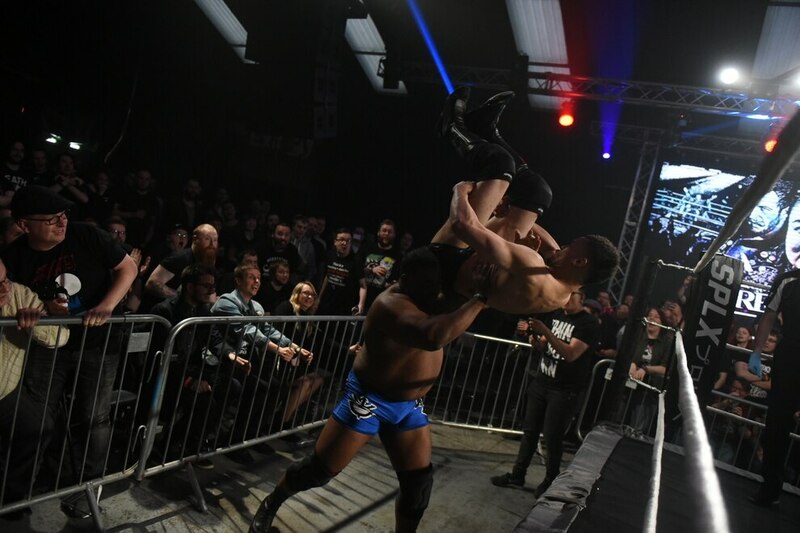 Birmingham’s Omari successfully retained his status as number one contender for the Fight Club: PRO World Title by defeating Keith Lee. In what is rumoured to be the start of his farewell tour of Britain before he signs with the WWE, the American powerhouse threw everything he had at the young Brit, but Omari withstood the onslaught, before finally getting the big man down for the three-count. With fans dancing to Omari’s theme song, the two men embraced in the ring, as their storied trilogy finally came to end. His trainer Travis Banks opened the show against David Starr, a Jewish-American who likes to be billed as 'The Bernie Sanders of Professional Wrestling'. 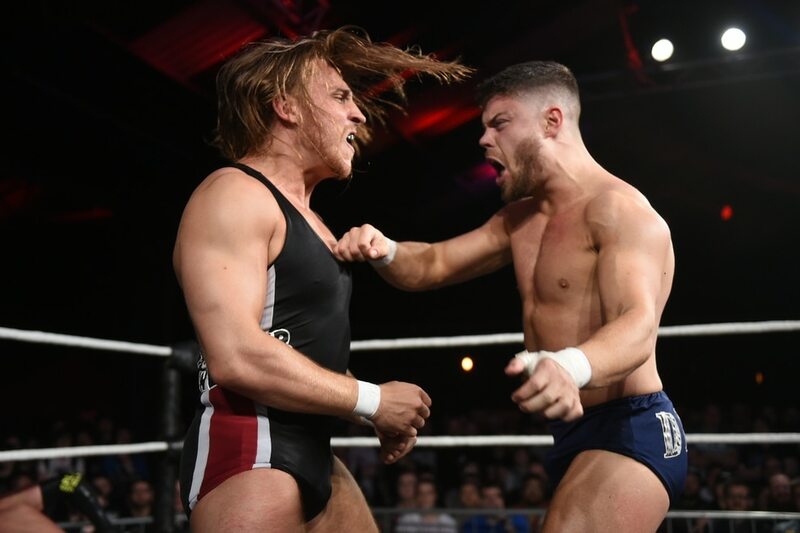 Banks’ influence could be felt throughout the card, with The Kiwi Buzzsaw having made Wolverhampton the place to be for aspiring Australasian pro-wrestlers. 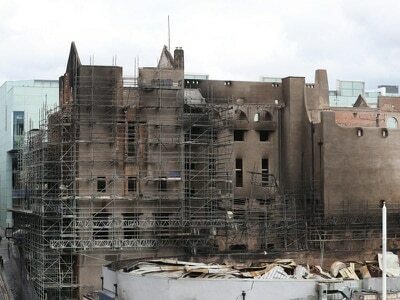 One of them, Mark Davis, would win a bloody brawl against Wolverhampton’s Clint Margera that went all over the building. And in the main event, Sendai Girls’ Meiko Satomura once again faced Tipton’s Chris Brookes for the Fight Club: PRO World Title. 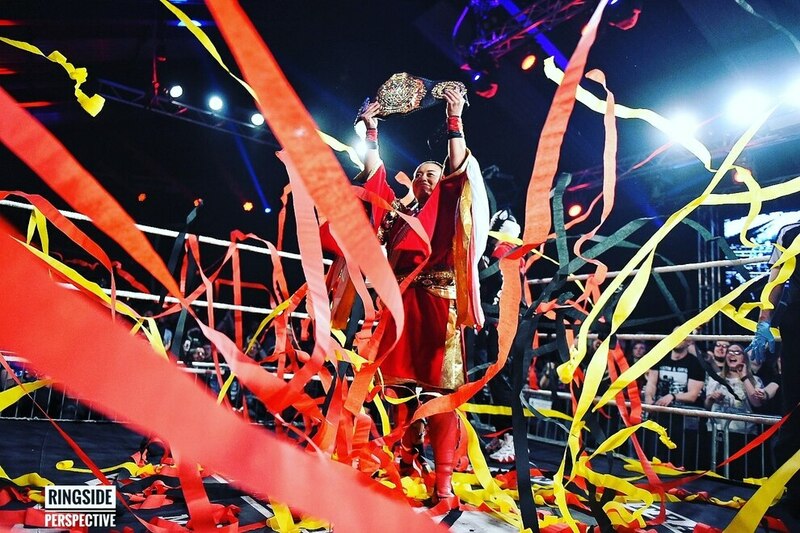 The two were greeted with streamers being shot into the ring, an echoing of Japanese pro-wrestling tradition, which made clear who the fans would be siding with. Despite being regarded as one of the best pro-wrestlers in the world, in her 23-year career, she had never won an intergender title before she defeated Brookes in April. Despite the Brit’s best efforts, she was in no mood to relinquish it.